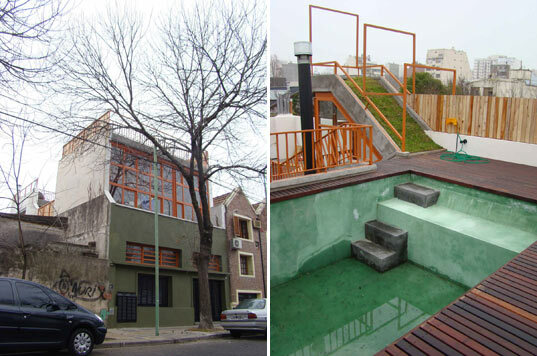 Argentinean architects Gustavo Dieguez and Lucas Gilardi of Estudio a77 have turned an old 1950s made house into a beautiful dream house in Buinos Aires just by using scrap material they found around. At first when i saw the house i thought it to be a mansion made from putting in huge sums of money but eventually it turned into a eco-friendly house made from stuff from the junk. 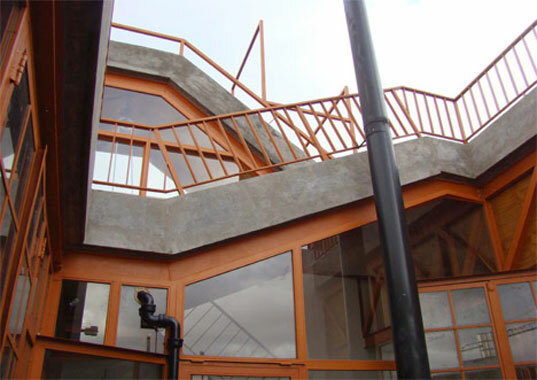 The house is constructed from recycled and reclaimed materials, Using approximately 50 meters of recycled highway guard rails from the General Paz (a highway surrounding Buenos Aires) and 300 meters of discarded metal profiles, wood, iron doors and windows found in scrap yards, Dieguez and Gilardi rework demolition materials into fully functioning structural elements. 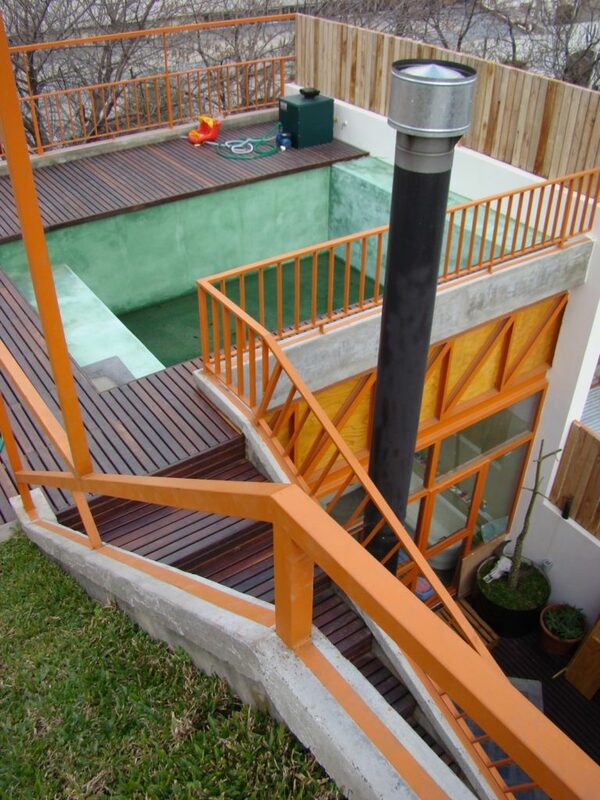 Situated around a swimming pool on the upper level, the metal structure, made from found parts, is mounted on the existing house foundation, forming a bridge that works to support the pool on the second floor of the house. 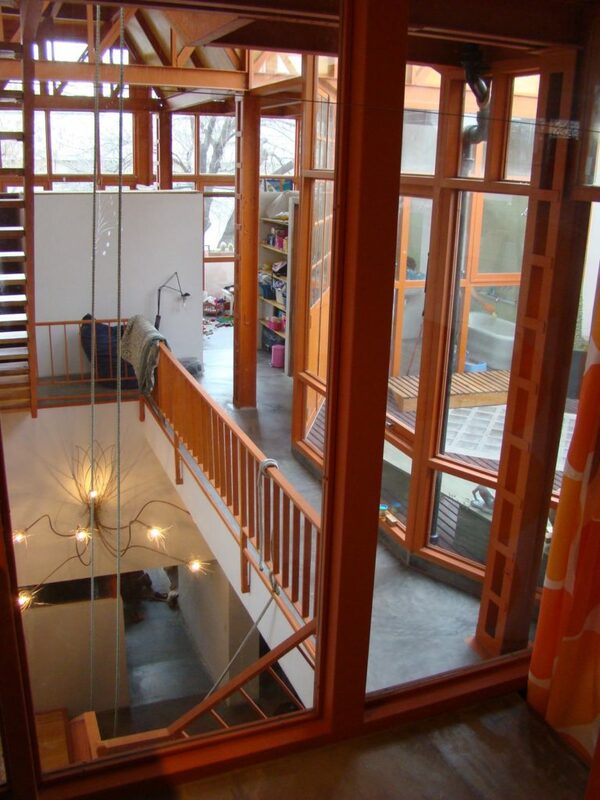 Painted orange, a common color used to protect steel, the old metal retains its history while reinventing itself through its new and varied use. 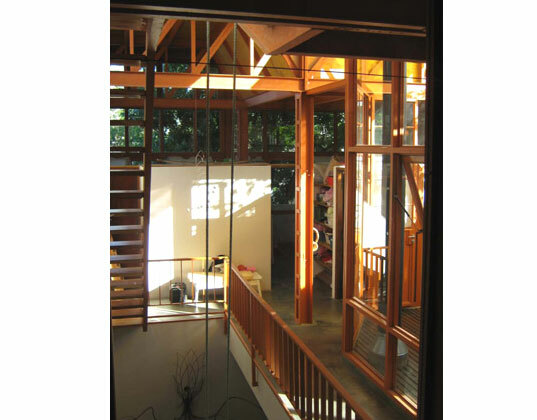 While the upper level is centered around the swimming pool, the lower level, comprised of a large loft and adjacent bedrooms, is carefully positioned around a central courtyard, open from above, which provides natural light and ventilation throughout the house. The architects have actually used a lot of open spaces and a lot of green color and ambiance to give a feel or very close to nature house.